We harnessed the optical majesty of acrylic to create the perfect perch for drinks. 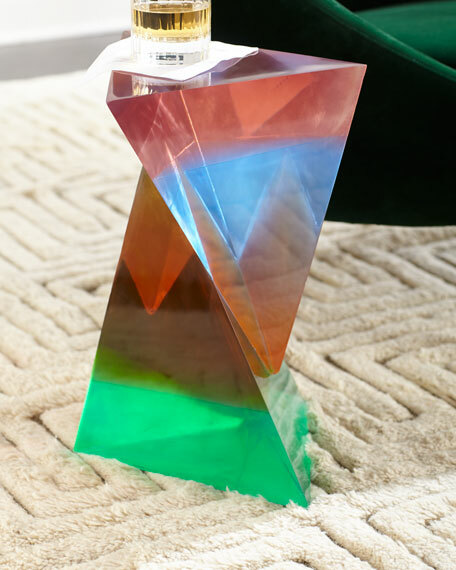 Our elemental Neo Geo Drinks Table is made from counterbalanced pyramids of jewel-toned acrylic that visually meld to look different from every angle. 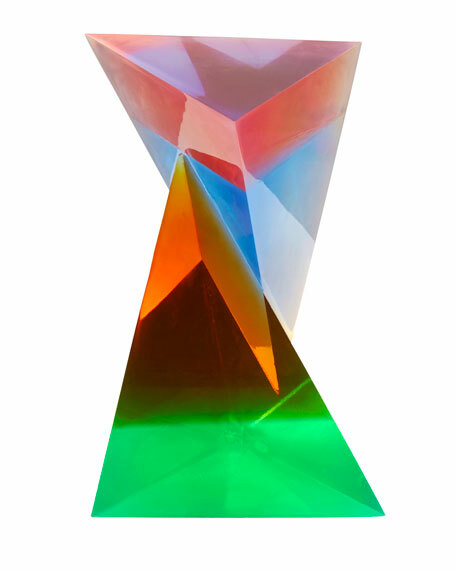 A functional sculpture that adds Pop Art panache to your Park Avenue pad. Approximately 12"W x 12"D x 18"T.